I began this novel not knowing what to expect. Postured like a history, was I in for two hundred pages of a fictionalised life story, or was I going to be swashbuckled and romanced? I wasn't sure; but this was part of the draw. Reading a book in a vacuum in this way is like discovering a new trend. For a moment, it is just yours, your new secret love. That's right. 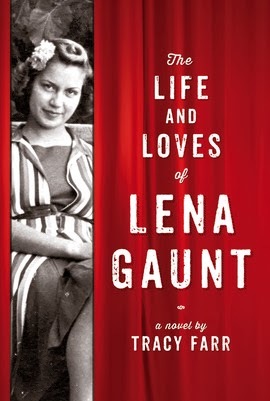 I think I am a little bit in love with Lena Gaunt. On the back cover she is described as a musician, and octogenarian and a junkie, all of which are true. In the early chapters of the book, Dame Lena is invited to play her theremin in a festival in Perth's hills. She seems conceited, a little deluded, and rather cranky, judging the other musicians around her and the young people that she works with. She is affronted by a negative review, and dismissive of Mo, the young filmmaker who wants to document her life. At the end of the day, she partakes of heroin. Lena, in the early pages, is intriguing but nasty, her cruelty indicating a deep unhappiness. Beautifully structured and written, this book carries the reader along like waves, and like music, two motifs which are interwoven in it's pages. While the subject matter of the book is unusual, and some might even say daring (although I say it is high time we had more GLBTI relationships represented in literature) the story is presented bare and unadorned. This is Lena's life; please deal with it. Her suffering and her triumphs are written in sparing and precise detail. This book is poetic without being overwritten. I was totally entranced. I would like to write like Tracy Farr writes because she is a master of the craft. Her characters are introduced with the ease in which real friends are made. I long for an Uncle Valentine, for a Malik to pull me out of the river, for a Cath, for a Gus, for a Beatrix, for a Grace. This book has echoes of T.S. Eliot, Simone Lazaroo, and E.M. Forster. It is real, raw, beautiful, and it dances. I will read it again and again.